October 15, 2014 – Hey there! It’s Ali, from Gimme Some Oven, back here with you today. And we’re talking about one of my favorite subjects — pizza! I don’t know about you, but “pizza night” has always been a regular occurrence in my home, especially once the weather cools off again for fall. There’s just something about pulling a freshly-baked pizza out of the oven that is the ultimate comfort food. And all the better if ALDI has done the work for you! That’s right — have you ever checked out the pizza selection at ALDI? They are totally tasty, and also a fraction of the price of anything you could order out at a restaurant. I love some of their traditional pizzas (i.e. pepperoni, supreme, sausage, etc. ), but I also love checking out the Special Buys section to see what good ones pop up there. Just this week I spied some fun pizzas like Mama Cozzi’s Italian Meat Deli Pizza. In my house, though, good pizza always must be paired with a good green salad. So this past week, I whipped up an Italian salad that was inspired by my beloved pepperoni pizza, and it was a total hit with my friends! 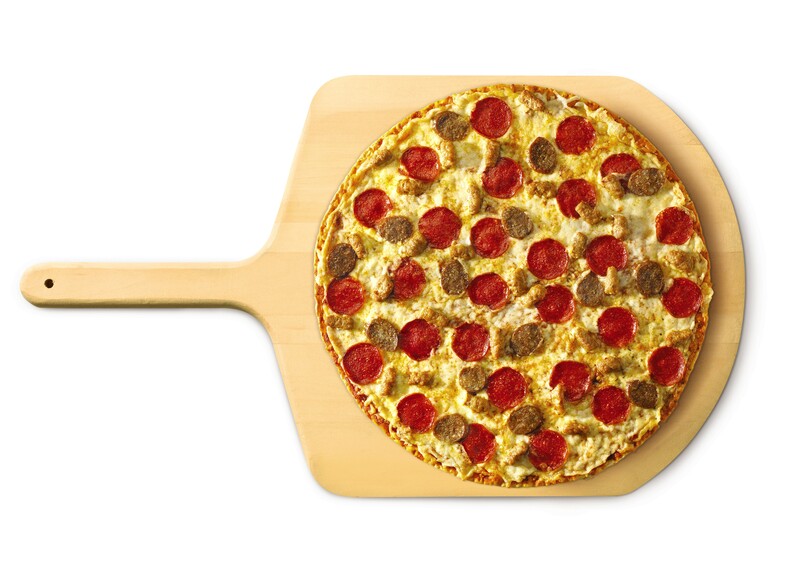 So pick up a pizza the next time you’re at ALDI, and also toss (ha, get it?) 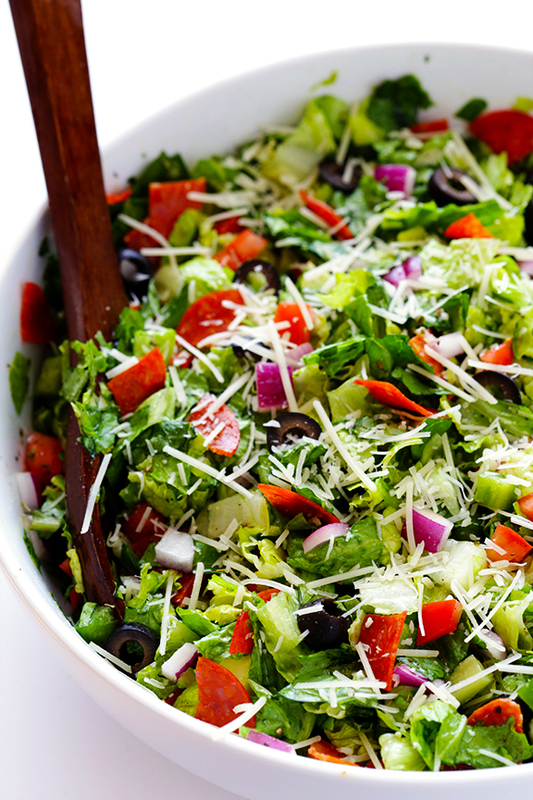 these salad ingredients in your cart to whip up this delicious salad as a side. Enjoy! Toss the pepperoni, romaine, tomatoes, bell pepper, red onion, olives, and vinaigrette together until combined. 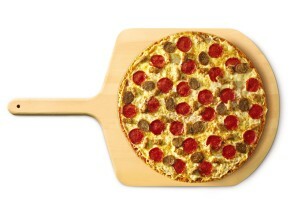 (You may need to split up the pepperoni pieces with your fingers so that they do not stick together.) Serve immediately, topped with the vinaigrette and the grated cheese. Recipe and Photo Courtesy of Ali Ebright, Gimme Some Oven.